Hyperloop Transportation Technologies (HTT | HyperloopTT) announced today the signing of official agreements with the Northeast Ohio Areawide Coordinating Agency (NOACA) who is teaming with the Illinois' Department of Transportation (IDOT) to begin a feasibility study for the region. Several corridors have been identified for study connecting Cleveland to Chicago. 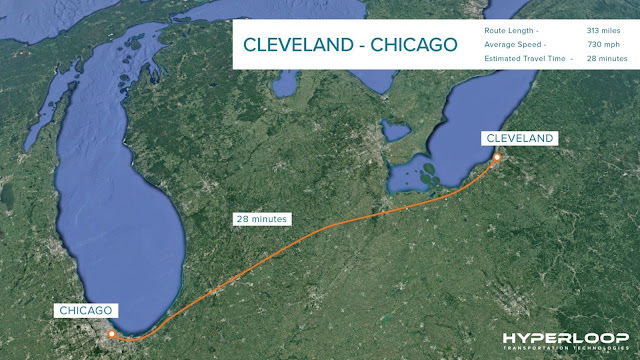 Support for HTT's Hyperloop system has been widespread throughout the region with Ohio's legislature passing a resolution for the initiative in 2017. In January, HTT worked alongside a bipartisan group of congressional representatives from several states including, Illinois, Ohio, Pennsylvania and Wisconsin sent a formal letter to President Donald Trumprequesting infrastructure funding support to develop the system. As part of this growing movement, HTT has formed a regional consortium around the project to include a multitude of other prominent organizations. An event is scheduled for February 26 in Cleveland at the Great Lakes Science Center where additional details will be revealed along with the growing list of consortium members. 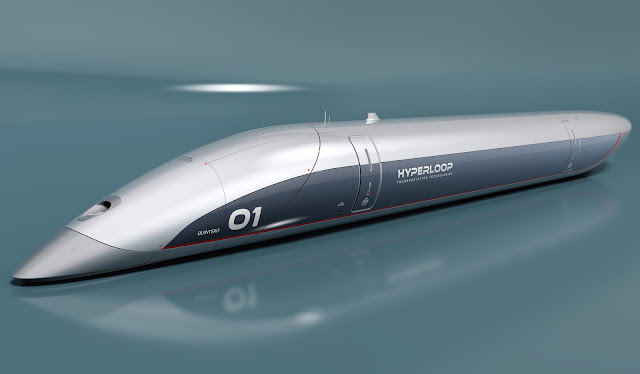 "Regulations are the ultimate barrier for Hyperloop implementation, and we are excited to build the first real public-private partnership to bring Hyperloop travel to the US," said Dirk Ahlborn, CEO of HTT. "With this agreement, we welcome innovative and industry-leading partners in both government and industry to our movement." "It's quite amazing to see how many partners Hyperloop Transportation Technology already has in the development of the Hyperloop," said Grace Gallucci, Executive Director of NOACA. "And they have been developing these partnerships across the spectrum: They have partnerships with academic institutions, with government institutions, with the private sector." "We came here because places like Cleveland, Chicago and Pittsburgh have the manufacturing, the raw materials and the talented, hard working people in order to make it happen," said Andrea La Mendola Chief Global Operations Officer of Hyperloop Transportation Technologies. "We can source everything from this area. This is a place where you make big things."